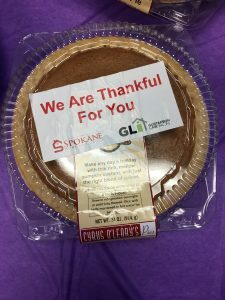 The Spokane Home Guy Group hosted a meet and greet style Pie Event for our 2017 clients. 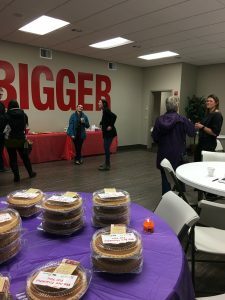 We had many familiar faces show up and enjoy snacks, cider, cookies and best of all pick up their free Thanksgiving Pie. We have been fortunate enough to help over 280 families buy or sell in 2017 and are looking forward to many more in the years to come. 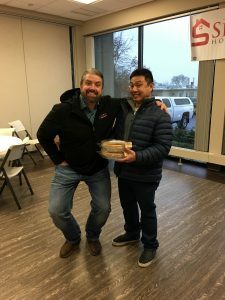 We are thankful for all our clients. 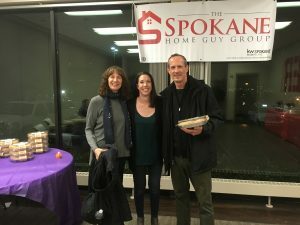 Stacie Prasser giving her clients their pie. 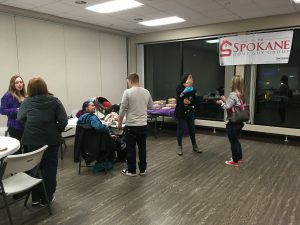 Some of our clients mingling and enjoying some snacks.